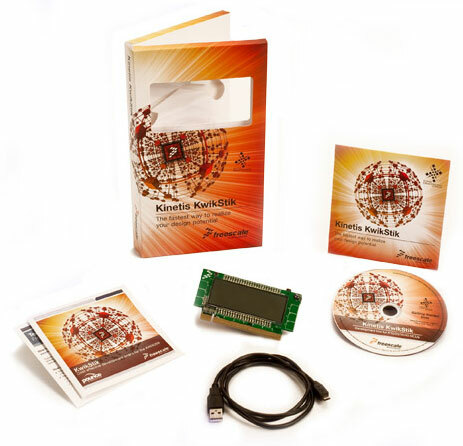 The Kinetis KwikStik is a development tool for the Kinetis family of MCUs. 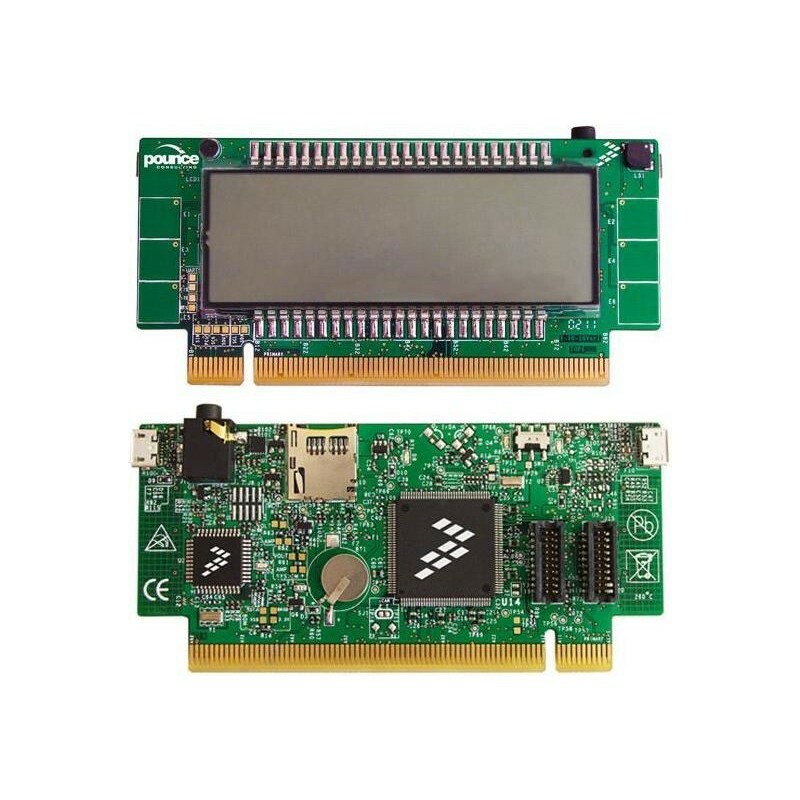 It features the Kinetis K40 low-power microcontroller based on the ARM® Cortex™-M4 architecture with USB 2.0 full-speed OTG and segment LCD display controllers. 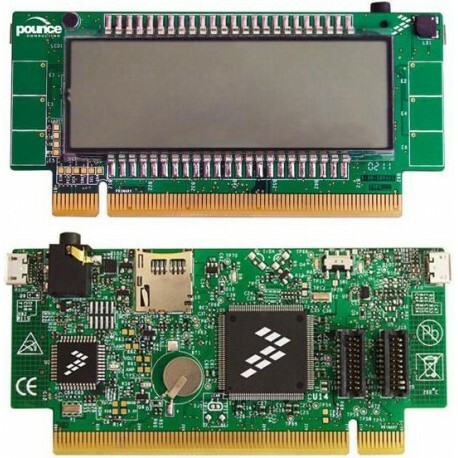 The K40X256 includes 256Kbytes of program flash storage and an additional 256Kbytes of FlexMemory non-volatile storage that can be used as additional program flash memory, data flash, or variable size/endurance EEPROM. The KwikStik includes a SEGGER J-Link™ on-board debug interface that can be used to program the on-board K40X256 MCU or an external Kinetis MCU. The KwikStik can function either as a standalone development tool or as a controller module in the Freescale Tower System (http://www.freescale.com/tower). Artykuł w portalu Mikrokontroler.pl pt. "Freescale Tower: nowatorski zestaw uruchomieniowy"
Artykuł w portalu Mikrokontroler.pl pt. "Freescale Tower System"
Artykuł w portalu Mikrokontroler.pl pt. 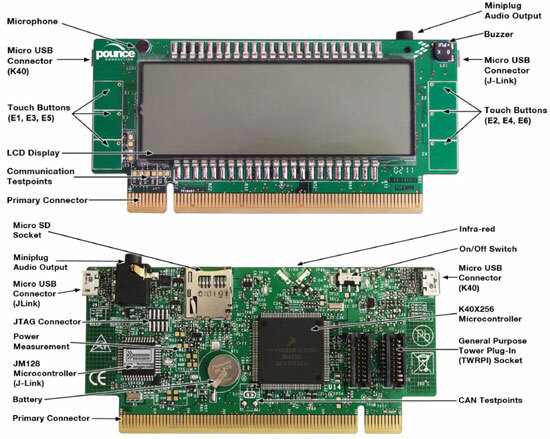 "Mikrokontrolery Freescale Kinetis z rdzeniem ARM Cortex-M4"